Posted October 23rd, 2014 by Martin Welford & filed under Opal-6. 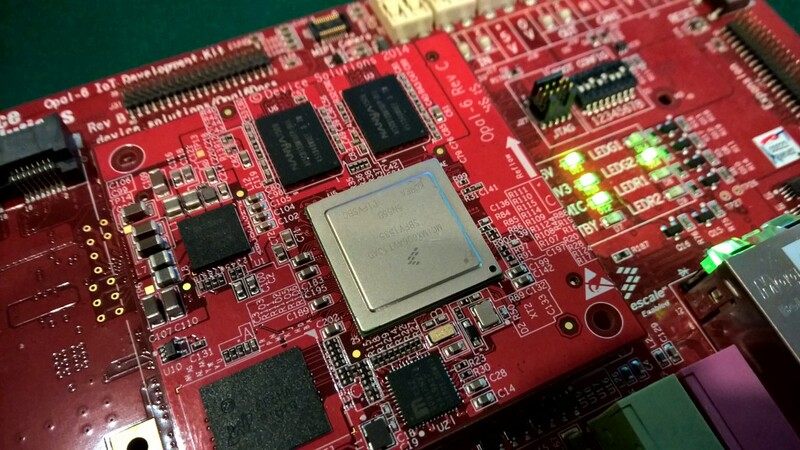 Meet our latest module – Opal-6! 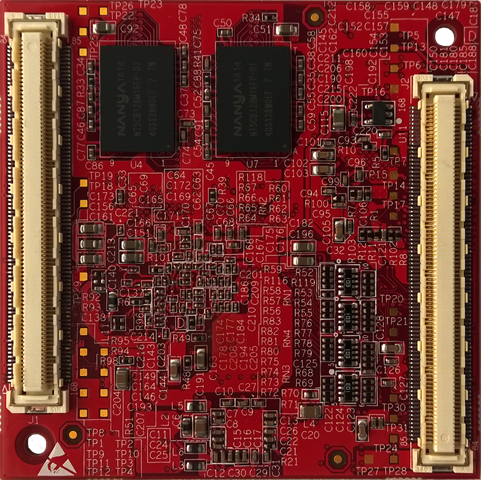 Opal-6 has been designed for high-performance applications in demanding environments. 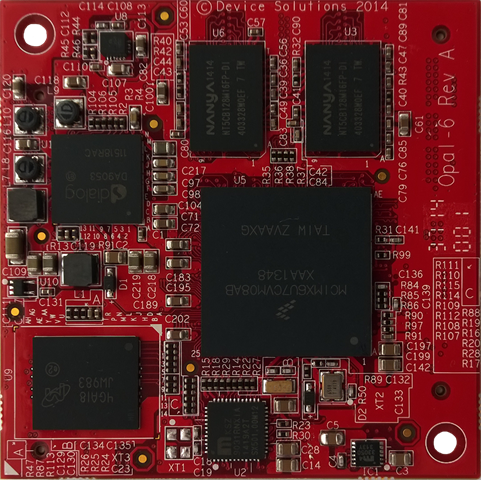 The Opal-6 SoM wraps up a Freescale i.MX6 Solo or DualLite with DDR3, eMMC, Ethernet PHY and power supply components. 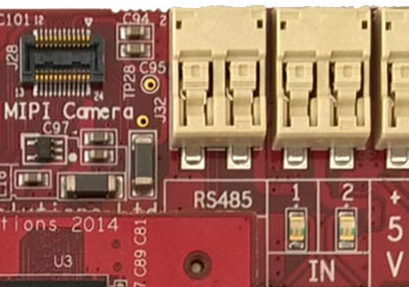 The custom footprint is 60mm x 60mm and uses 2 x 168-pin Hirose connectors to bring out almost all of the i.MX6 signals. 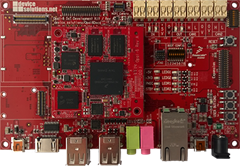 The Opal-6 Dev Kit includes HDMI and dual LVDS display options. Internet connectivity is via Gigabit Ethernet, WiFi and cellular. 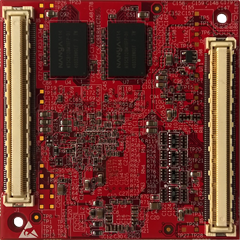 The cellular modem connects via PCIe and there is also dual SIM support. 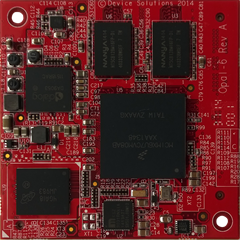 One SIM is a new solder down version enabled for global roaming, giving you connectivity right out of the box. 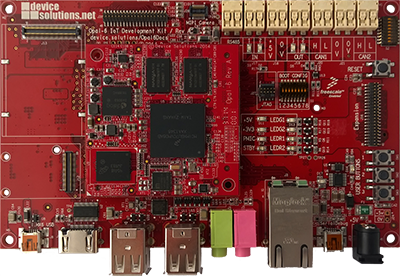 There are interfaces for industrial and automotive applications via CAN, RS485 and 5V I/O. These are on push-wire connectors. Our aim is to make it really quick to prototype your design. 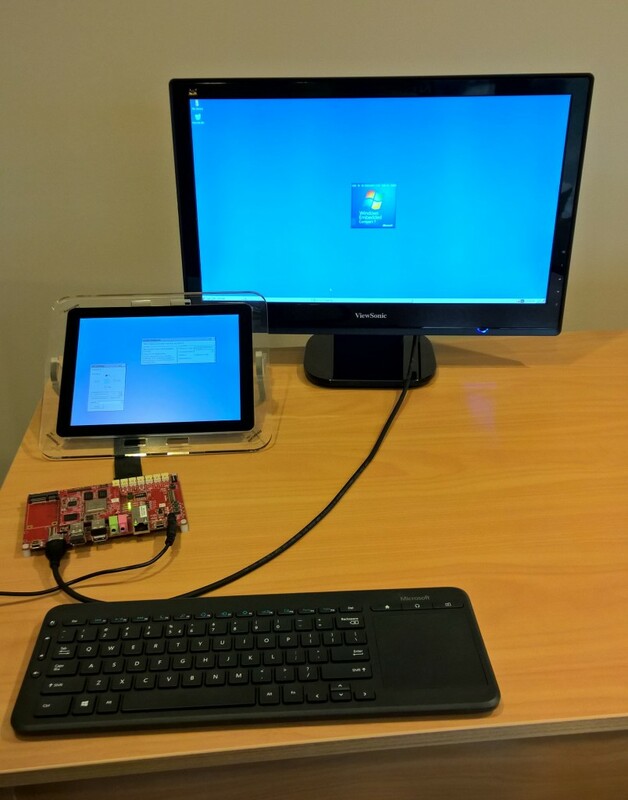 Operating system support includes Linux support from Timesys and the new Windows Embedded Compact 2013 BSP from GuruCE. Full details and technical docs will be on the web site in the coming weeks. 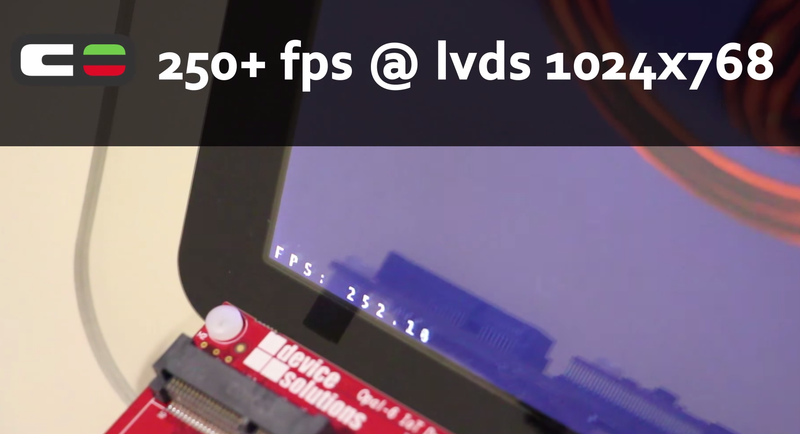 Development kits are sampling in December. Email sales@device.solutions to reserve your kit.